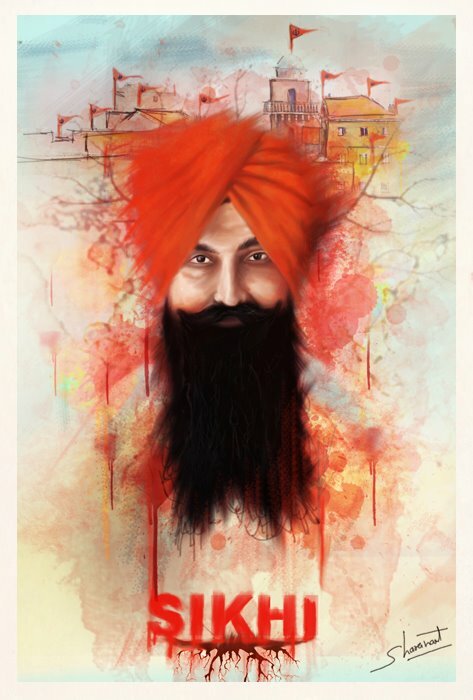 Some great art work being created recently, inspired by Bhai Sahib Balwant Singh Ji Rajoana. We need more art like this and of every other type of art too; music, videos, poems and others to help highlight the different and ongoing causes of the Panth, lots of which are close to the hearts of many. One of Bhai Sahib Balwant Singh Rajoana's request to the Panth is that Sikhs worldwide display Ni...shan Sahibs outside their homes from now to the date of the planned state execution which is still the 31/3/2012; to mark the tenacious spirit of the Khalsa Nation (giving Shaheedi) and to show solidarity in the face of injustice.